The Ultravid lineup of fabulously svelte binoculars from Leica has been extended to include the compact segment of 8×20 and 10×25 “dual bridge” models. These are initially offered in black with either rubber or leather exteriors, and of course the Trinovid line with its many color options is still available. A major improvement of the Ultravids, beyond their improved shape and increased brightness, is its waterproof and fogproof housing. Now you can take your compact Leica binocular with you in the most ardent climate extremes of humidity, temperature and precipitation without concern for their performance! 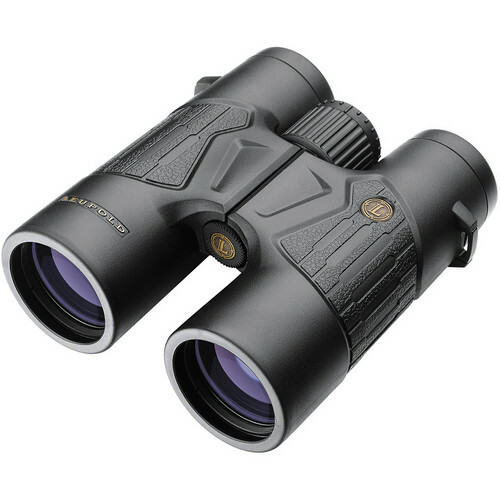 The black 12×50 BX-3 Mojave Binocular from Leupold fuses ergonomic handling and fully multicoated optics to create a general purpose set of glasses that is well-equipped to endure the elements and transmit a detail-rich field of view. For the BX-3 Mojave series, Leupold employs their L-Coat anti-reflective lens coating to maximize light transmission and enhance image contrast. Complementing the lens system are phase-corrected BaK4 prisms that render lifelike colors and impressive sharpness. Twist-up rubber eyecups and a long 16mm eye relief outfit the binocular for a comfortable viewing experience even while wearing eyeglasses. 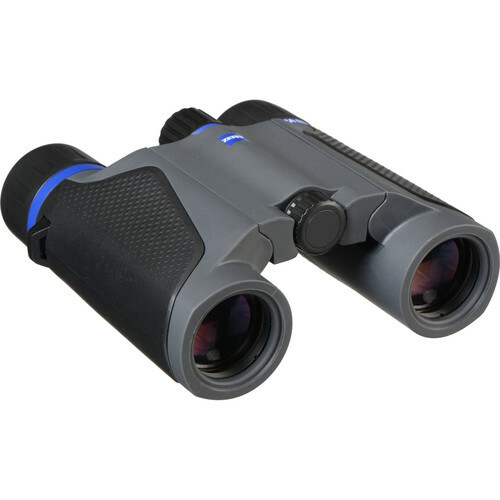 In addition to its noteworthy optical performance, the BX-3 Mojave binocular also features a weather-resistant housing that is nitrogen-filled and built to perform in extreme humidity and heavy rainfall. When conditions turn wet or cold, several of the binocular’s features will help the observer maintain their grip; including textured rubber armoring and rubberized ridges on the focus wheel. An open-bridge design also helps to balance the binocular in the observer’s hand and makes the BX-3 Mojave easy to handle with one hand. The build quality and optical performance of the BX-3 Mojave make it a full-featured optic for close to mid-range observations. 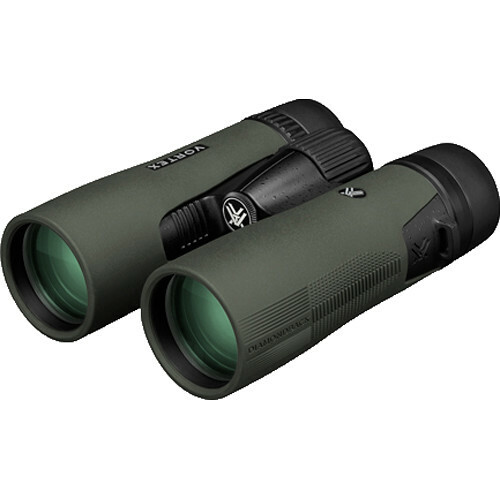 The black 10×42 BX-2 Cascades Binocular from Leupold combines ergonomic handling and fully multicoated optics to create a general purpose set of glasses that is well-equipped to transmit a detail-rich field of view while enduring the outdoors. For the BX-2 Cascades series, Leupold employs their L-Coat anti-reflective lens coating to maximize light transmission and enhance image contrast. Complementing the lens system are phase-corrected BaK4 prisms that render lifelike colors and impressive sharpness. Twist-up rubber eyecups and a long 16mm eye relief outfit the binocular for a comfortable viewing experience even while wearing eyeglasses. In addition to its noteworthy optical performance, the BX-2 Cascades binocular also features a weather-resistant housing that is nitrogen-filled and built to perform in extreme humidity and heavy rainfall. When conditions turn wet or cold, several of the binocular’s features will help the observer maintain their grip; including textured rubber armoring and rubberized ridges on the focus wheel. In addition to its user-friendly handling and optical performance, the BX-2 Cascades has a 10 ft minimum focus, making this a well-rounded optic for close to mid-range observations. 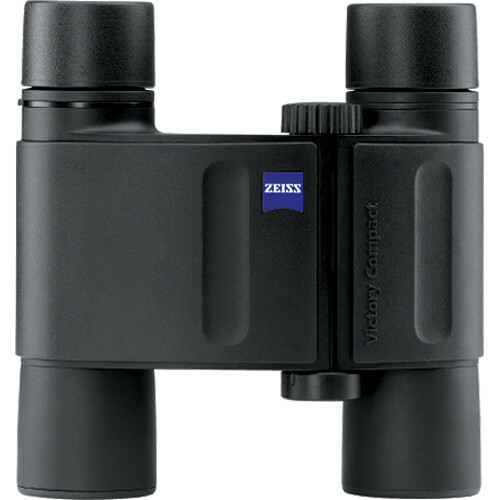 Zeiss’s gray-black 8×25 Terra ED Compact Binocular gives you a competent and compact optic that fits easily in the palm of your hand. A combination of technologies work together to produce bright and clear images with increased contrast and true color rendition that include: Schmidt-Pechan roof prisms, Schott extra low-dispersion (ED) glass, and anti-reflection fully multicoated optics. The Terra ED is offered here in a8x power which provides a nice general purpose magnification with a generous field of view. The lightweight housing is nitrogen-filled and o-ring sealed enabling it to withstand use in wet and snowy weather, and the rubberized armor offers protection from impacts while providing a slip-resistant grip. The Terra’s double-hinge closed-bridge design allows it to fold compactly for an easy fit in most pockets or packs, while the knurled center focus wheel enables fast focusing. Twist-up eyecups make it comfortable to use with or without eyewear. 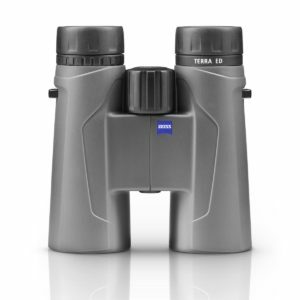 Zeiss’s gray-black 10×25 Terra ED Compact Binocular gives you a competent and compact optic that fits easily in the palm of your hand. A combination of technologies work together to produce bright and clear images with increased contrast and true color rendition that include: Schmidt-Pechan roof prisms, Schott extra low-dispersion (ED) glass, and anti-reflection fully multicoated optics. The Terra ED is offered here in a10x power, which walks the delicate line between an increased viewing distance over lower magnification optics, while maintaining a useful field of view. 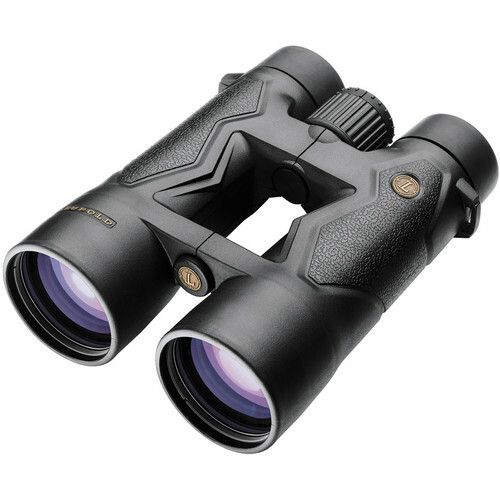 The black 10×42 BX-3 Mojave Binocular from Leupold fuses ergonomic handling and fully multicoated optics to create a general purpose set of glasses that is well-equipped to endure the elements and transmit a detail-rich field of view. For the BX-3 Mojave series, Leupold employs their L-Coat anti-reflective lens coating to maximize light transmission and enhance image contrast. Complementing the lens system are phase-corrected BaK4 prisms that render lifelike colors and impressive sharpness. Twist-up rubber eyecups and a long 16mm eye relief outfit the binocular for a comfortable viewing experience even while wearing eyeglasses. 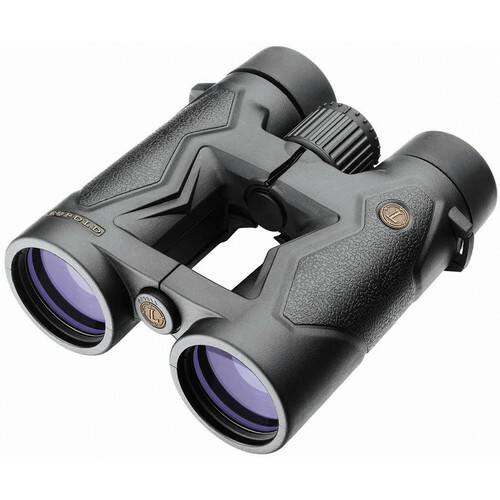 In addition to its noteworthy optical performance, the BX-3 Mojave binocular also features a weather-resistant housing that is nitrogen-filled and built to perform in extreme humidity and heavy rainfall. When conditions turn wet or cold, several of the binocular’s features will help the observer maintain their grip; including textured rubber armoring and rubberized ridges on the focus wheel. An open-bridge design also helps to balance the binocular in the observer’s hand and makes the BX-3 Mojave easy to handle with one hand. An ability to focus within ten feet helps make the BX-3 Mojave a full-featured optic for close to mid-range viewing. Combining excellent optical performance with ruggedness, portability, and comfort, the 10×42 Diamondback Binocular from Vortex Optics is ideal to take along on your hiking trips, camping, traveling, or just in case. The specially designed optics feature improved transmission, contrast, and true color using fully multi-coated lenses and phase-corrected roof prisms. With the improved close focus of 6.7′ you will get plenty of focusing range and a sharp focus on faraway scenery as well as close-ups of nearby street signs, monuments’ details, or wildlife. The combination of 10x magnification and the 42mm objectives offers you a generous 6.3° angle of view that gives you complete images of targets. The lightweight aluminum housing is purged with argon gas and sealed with o-rings to offer enhanced fogproof and waterproof performance. The short-hinge bridge is reduced in size, compared to previous generations of Diamondbacks, to cut overall weight and to expose more of tubes’ surface for easy holding. To ensure that you have a non-slip grip and tuning, the body, oversized focusing ring, diopter ring, and twist-up soft tapered eyecups have rubberized coverings. The focusing knob and the diopter ring also have knurling for easy use even with gloves on. Also included with the binocular are a carry case, neck strap, rainguard, and tethered objective caps. 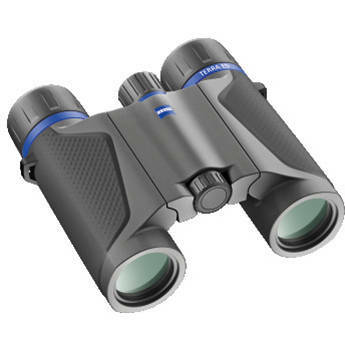 Zeiss's cool gray 10×42 Terra ED Binocular combines SCHOTT ED glass elements and a compact weather-sealed housing to create a multi-purpose optic that delivers the image quality and streamlined silhouette for birders and hunters seeking a budget-friendly set of glasses that do not sacrifice twilight performance or functionality. At the core of Terra ED are fully multicoated SCHOTT ED glass lenses designed to maximize light transmission and render contrast-rich images. 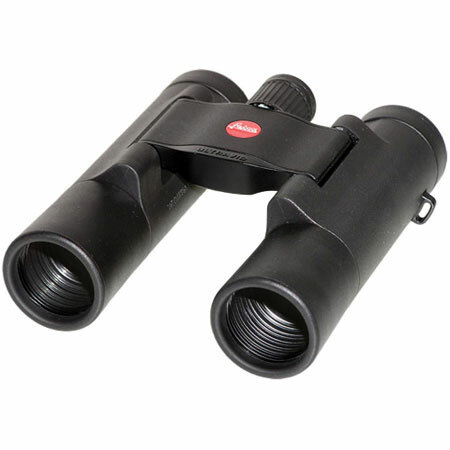 They also boast the ability to focus down to less than 6 ft, allowing observers to get up close to the bird or other nearby subject of interest Thanks to a space-saving Schmidt-Pechan roof prism design and lightweight composite housing, this binocular weighs just a pound and a half.